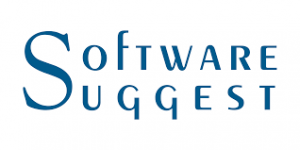 The Simplest Timesheet Software for Every Size of Business and its FREE! Make sure everyone is on the same page with clearly defined timelines. Makes keeping tabs on efficiency a breeze. 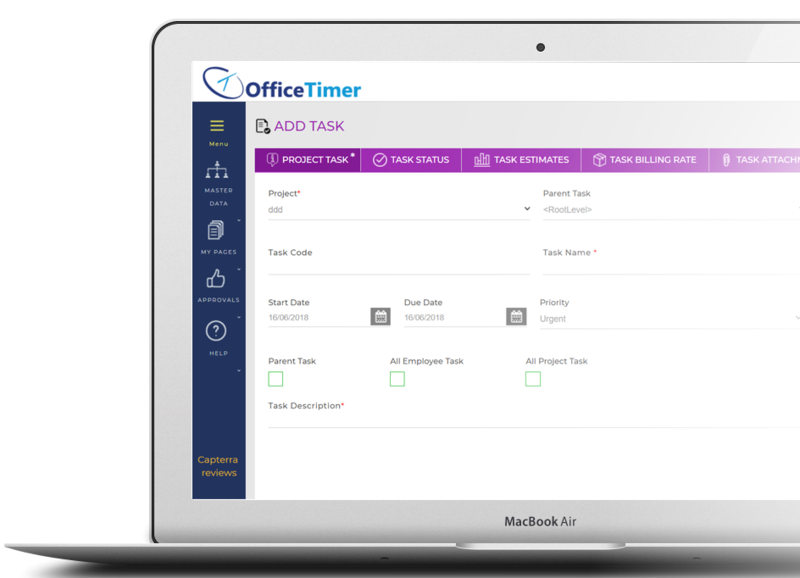 Generate various types of Timesheets such as Weekly Timesheet, Bi-Weekly Timesheet, Monthly Timesheet, Daily Timesheet. Identify bottlenecks early, and restructure for smoother workflows. Itemised Timesheets which allow each employee and manager to ensure productivity. Transparent appraisals based on Timesheet data motivate hard work and sincerity. Define an unlimited number of leave types. Customise leave types based on labor laws of your region. Our accrual engine will accrue leaves weekly or monthly based on your settings. Customize deductions for sandwich leave and other type of leaves based on your company policy. Use our versatile mobile app to upload travel documents, medical notes along with your leave requests. Employers can use the same app to sanction leaves for employees. Whether you are a big firm or a freelancer, fully customize your Expense Sheet to suit individual needs. Classify expenses as billable or non-billable. Get instant expense approvals using our mobile app. Work with multiple currencies, define a home currency, and perform easy conversions. Import/Export expense sheet on various platforms. Flags raised for habitual defaulters. Instant alarms raised if unauthorised entry is detected. Can initiate system lockdown of sensitive data in case of a breach. Customised break times and duration for each set of employees. Get real time alerts if employees take longer or frequent breaks. Attach unlimited project / task documents, manage/allocate funds. Group all tasks by parent tasks. Ensure project and task level security. Gantt charts to check progress. Compare the actual vs the desired progress of each aspect of your project. Set up reminders and warnings if the progress is slow or a deadline is approaching. Easily reflect the horizontal and vertical organisation of each project. Set deadlines, milestones and urgency of each task. Gantt charts for each task can be created allowing you to have each task completed within the set deadlines. Capture task comments and relay communication related to each. Group tasks as billable or non-billable. Integrate tasks with Expense Sheets and update automatically. Upload task bills using our Mobile app. Classify each task, and each expense as billable or non billable. Sync with the timesheet to aid in the billing. It takes care of the number of hours you have clocked, any unpaid or half-pay leaves, and if you are falling short of attendance. 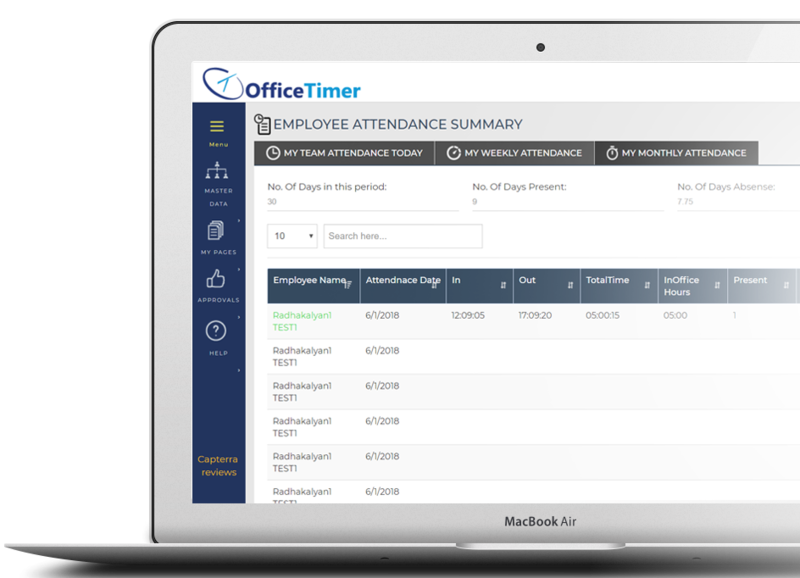 Easily integrable with Data from your Timesheet, Attendance, and Leave management systems. 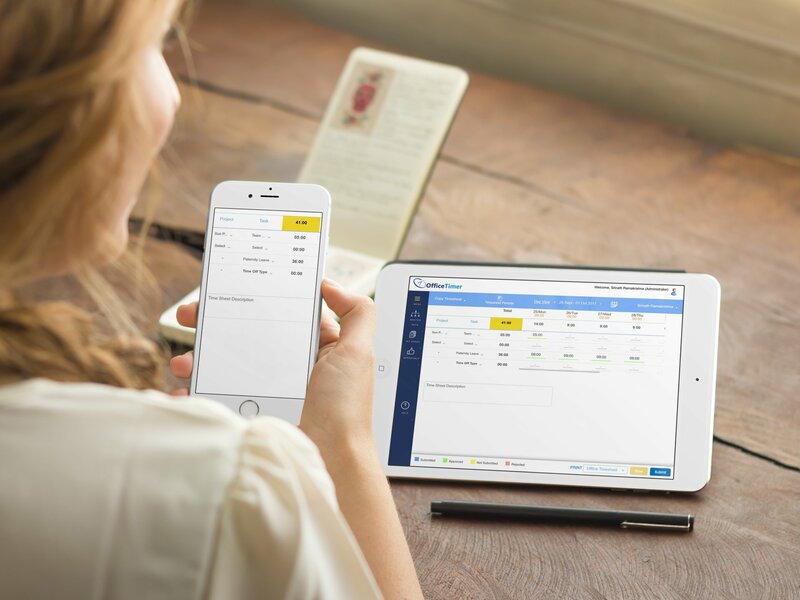 Bills and invoices uploaded in a jiffy through the mobile app. Classify official expenses as billable or non billable. With OfficeTimer, Never suffer a staffing crisis. Ensure that all your teams are adequately staffed. Perform fair and transparent employee appraisals. Integrate data from Timesheets, Project Management and Leave management systems to perform fair and transparent appraisals. Cloud based solution keeps data secure. By syncing data with the cloud, we have you covered. No more data losing nightmares. Changes get reflected realtime, whether you use our desktop application or the mobile version. 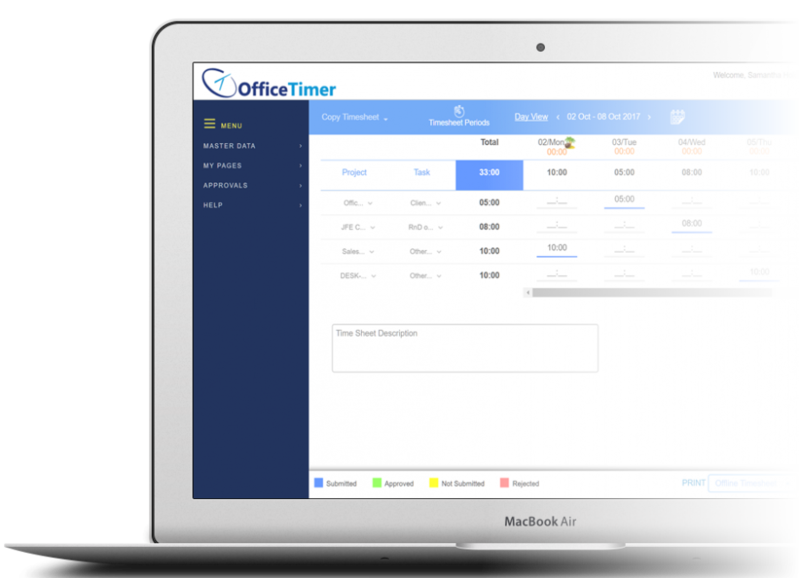 Officetimer is a time tracking software that helps you manage time more efficiently with a clean and easy to understand interface. 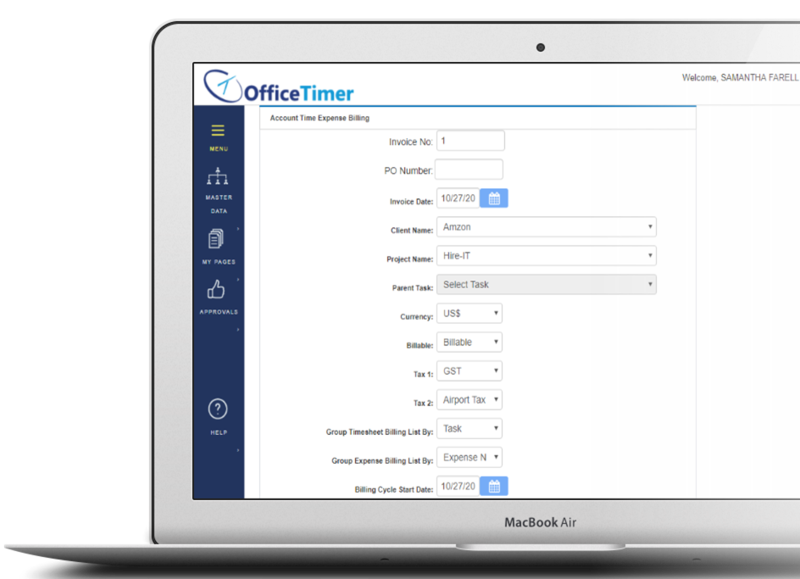 Our customers go on record to say that OfficeTimer has helped them increase their employee productivity by over 15% and also increase their billing by as much as 10%.